Megrahi release was 'over BP oil deal' Jump to media player The former Libyan foreign minister has claimed that the release of Abdul Baset Ali Al Megrahi two years ago was discussed with the British government and linked to a big contract for the oil company BP. Megrahi critically ill says son Jump to media player The son of convicted Lockerbie bomber Abdelbaset Ali al-Megrahi, has granted the BBC access to his father in Tripoli. There have been fresh allegations about the circumstances surrounding the release of the Lockerbie bomber. A former Libyan foreign minister claims the release of Abdelbaset Ali al-Megrahi was discussed with the British government and linked to a contract for oil company BP. 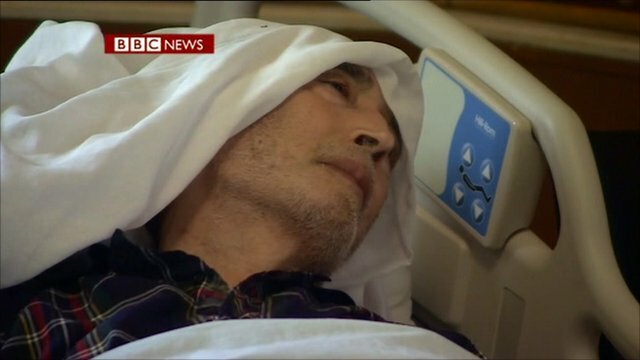 The Scottish government has always claimed that the decision to free Megrahi was theirs alone and that he was freed solely because he was terminally ill.
His family asked the BBC to film Megrahi, who is clearly now close to death at his home in Tripoli, to end speculation about the state of his health. Jeremy Bowen reports from Tripoli.